Which animal almost prevented the Panama Canal being built? How was the secret behind birds’ migration finally disclosed in 1822? Which of Emperor Hirohito’s passions did the Queen find dubious? And: Why is the ‘Hitler beetle’ (Anophtalmus hitleri) already practically extinct? 30 stories tell of epoch-making discoveries, momentous complexities and curious ideas. 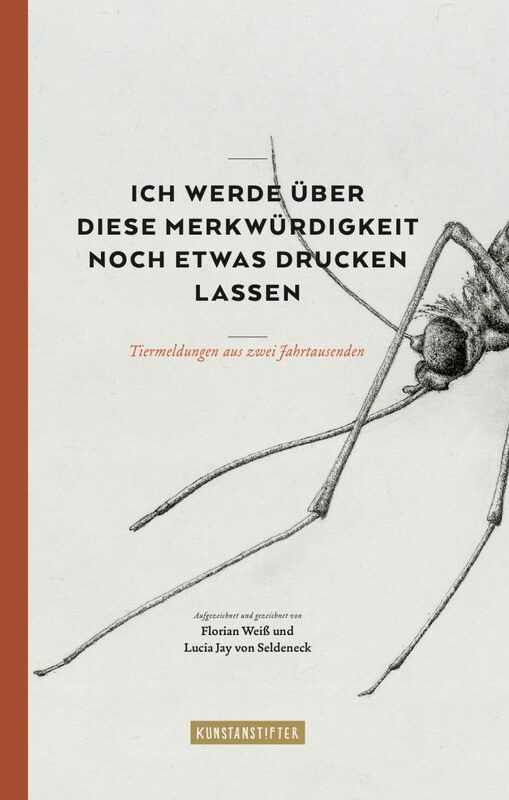 Each story is based on a news report and is developed into a bibliophilic picture book with a short story by Lucia Jay von Seldeneck and realistic animal illustrations made up of dots by Florian Weiß. The kunstanstifter already published Florian Weiß’ “Ringel Seepferdchen” in 2011. Open the right-hand page of the book so you can see the whole animal illustration on a double page. Hardcover with 30 pages to open up, half-linen.